Shortness of breath, or dyspnea, can occur for many reasons. 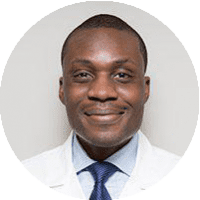 Dr. Dele-Michael performs in-depth evaluations to determine what's causing symptoms in his Manhattan, NY, patients so they can get the best, most effective treatments based on their specific medical needs. Shortness of breath, or dyspnea, can occur for many reasons. Medically, the most common causes include heart disease, lung ailments, and chronic heart failure. How can I tell if my shortness of breath is caused by a medical problem? How will Dr. Dele-Michael determine what's causing my shortness of breath? 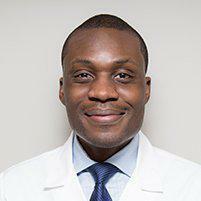 Dr. Dele-Michael will perform a physical exam to look for signs or symptoms of any disease, as well as review your personal and family medical histories to look for risk factors for heart, lung, vascular or other diseases. He'll listen to your heart and lungs and may ask you to perform a simple breathing test or have an EKG to check the condition of your heart. In some cases, he may also order lab work, diagnostic imaging or other tests or procedures to evaluate your heart and lungs. If you're short of breath, your treatment will depend on what's causing your symptoms and whether it's related to your heart or lungs or both. Patients with asthma, for instance, may need to use inhalers to open their airways. People with heart disease or heart failure may require blood pressure medication, diuretics to remove excess fluid from the body, or medications that can help stabilize the heart rate.